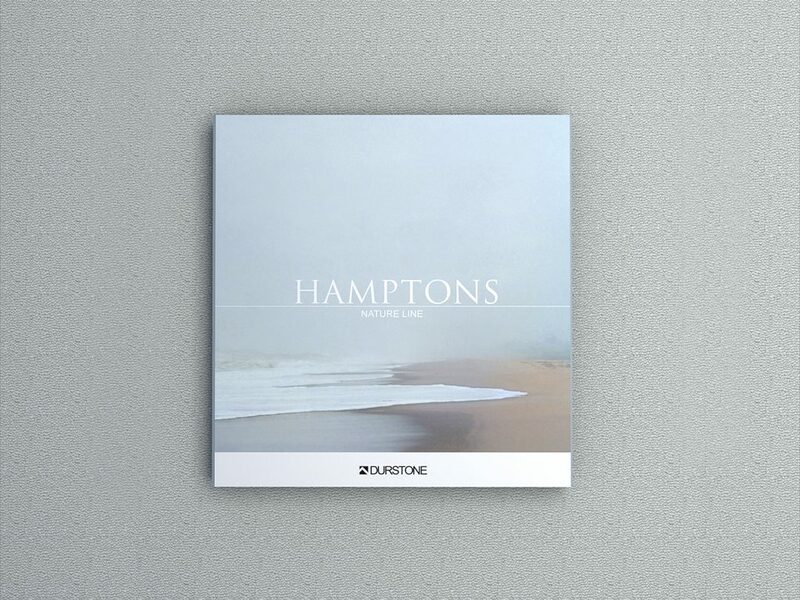 Durstone was about to launch a new wood tiles collection: Hamptons, as it’s inspired by the famous beach in east USA. 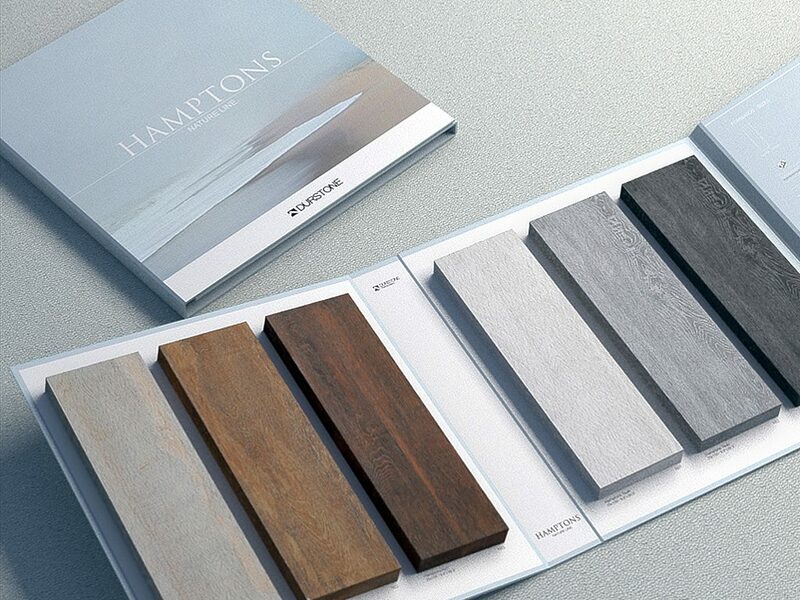 We designed this new wood look tiles and also developed the collection’s identity and promotion tools. 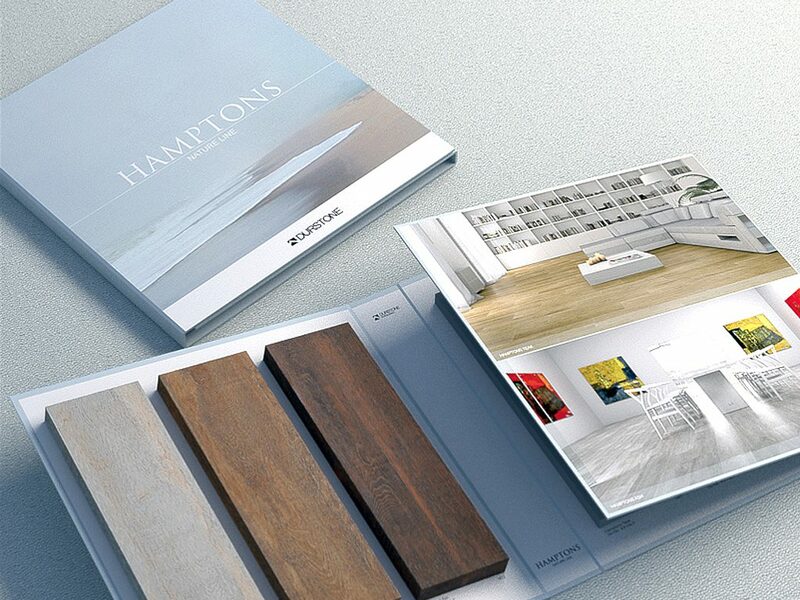 One was a product folder containing all the samples and finishings, featuring technical information, setting 3D’s keeping a soft and warm image according to wood lovers likes. 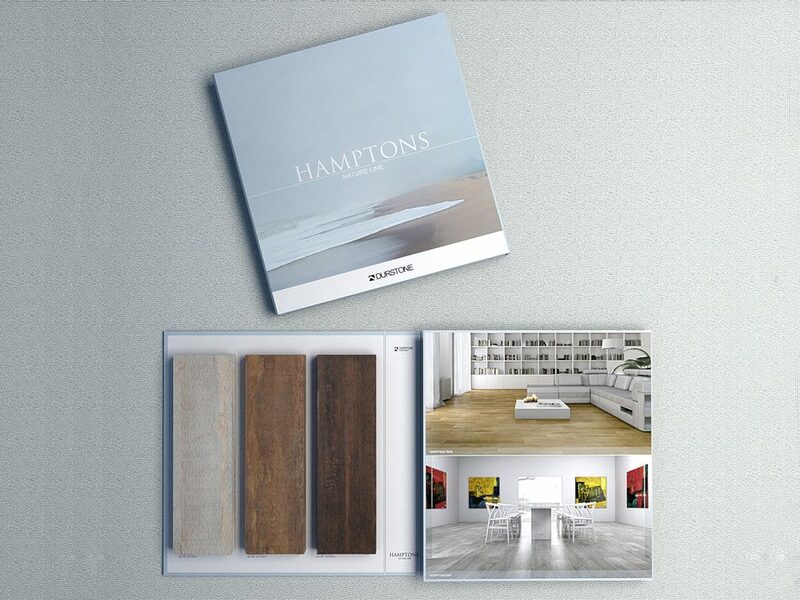 On the other hand we designed the product exhibitor stand with the full pieces of this collection.